Widower Finn Baylor helps troubled horses, not troubled people. When Lily Jacobs shows up with her damaged horse in tow, something in her eyes tells him this woman is the latter, and his first instinct is to tell her to get gone. Still trying to piece himself together, the last thing he needs in his life is a woman who won’t take no for an answer. Reeling from the accident that nearly claimed her life and her horse’s, Lily is desperate to make things normal again. The horse has become unpredictable and dangerous, and Lily is terrified — but she’s not giving up. 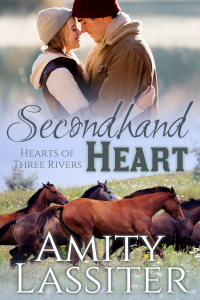 Out of options, Lily’s last hope for her horse is the brooding Finn. And though he’s done his best to close himself off, Lily’s determined spirit means she might be the last hope for Finn’s heart.